Is Malawi music industry down in the dumps? Here’s one life’s great conundrum: If music is the food of love why it is then that is there’s no love among those that cook the food for love in the country? Why is it then that the Malawian musicians have for a long time been living a disintegrated a society with a genre divide? For a long time now, gospel musicians have isolated themselves from the secular music front and continue keep each other at a distance. But are not all musicians have the same goal to spread the message to the music lovers be it gospel or secular? How paradoxical then that in the forward-thrusting, future-busting, uber-progressive and instinctively go-ahead world of music, the contemporary Malawian music industry is still wallowing in melancholy? The Malawian music industry has an affluent history and has produced a puddle of exceptional music endowment and legends in great musicians with great artistic dexterity in the likes of the Daniel Kachamba, Ndiche Muharare, Allan Namoko Morrison Phuka, Robert Fumulani, Chenasawa and Isaac Mkukupa, M’jura Mkandawire, , Mike Kamwendo, Gides Chalamanda, Ndingo Brothers Band, Maurice Maulidi, States Samangaya, Stonard Lungu, Saleta Phiri, Bright Nkhata, Griffin Mhango, Maria Chidzanja-Nkhoma, Evison Matafale, Mtebeti Wambali Mkandawire, Sir Paul Banda and Lucius Banda just to mention a few. The reasonable man is therefore unconstrained to ask, so what? In a larger scheme of things, Malawi music quality still seems to be like a pee in the Pacific Ocean for currently it appears to be torpid and wedged to the local airwaves. Controversial reggae musician Limbani Banda once called Malawi music trash and recently some gospel artists had to pull out from a music bonanza because the showcase was to be starred with groups seen to be secular music circles – some renowned musicians have for so long been dodging or distancing themselves from the Music Association of Malawi (Mam). “When I said that Malawi music is trash not many people understood me, many thought I was arrogant and pompous but look at how our market is infested with foreign music? Does that not tell us that there is something we are not doing right?” Banda queries. He says most Malawians prefer Zambian music because of its rhythmic and lyrical ripeness, which explores matters of the heart to the listening ear while most Malawian musicians precipitate to recording studios without a speck of music. “We must go back to the drawing board and start thinking outside the box where we’re going wrong if we can make music that can please an international ear. In the 1980’s Kalimba managed to produce music entered into the UK top ten charts and 30 years later we’re failing to conquer even Zambia, is our music not going down in the dumps?” he asks. However, one man is geared to work with the industry’s players’ to help change the face of the Malawian music – he is one of the country’s extravagantly talented and skilled guitarist and singer, the newly Mam elected president Reverend Chimwemwe Mhango. “There is a lot of work to do to lift the music industry from the damps to greater heights,” says Reverend Mhango in an interview. “First and foremost I humbly would love to thank my predecessor Costen Mapemba for his efforts that have taken the industry to some level. He is such a gentleman and professional who effortlessly worked hard to achieve great things during his tenure of office. I know he was in office when a lot of things were out of order but he fought hard to bring sanity to the industry,” says Reverend Mhango who in 1995, was the only gospel artist to represent Malawi at Sadc Music Festival in Harare, Zimbabwe. “My mission is to continue where others left but I cannot do it myself, I will need team work. I will put an extra gear to work with of all music living legends. My first port of call is to unite musicians in the country across the divide. I don’t think it makes much sense for musicians to be disunited merely because they are into different genres,” he explains. 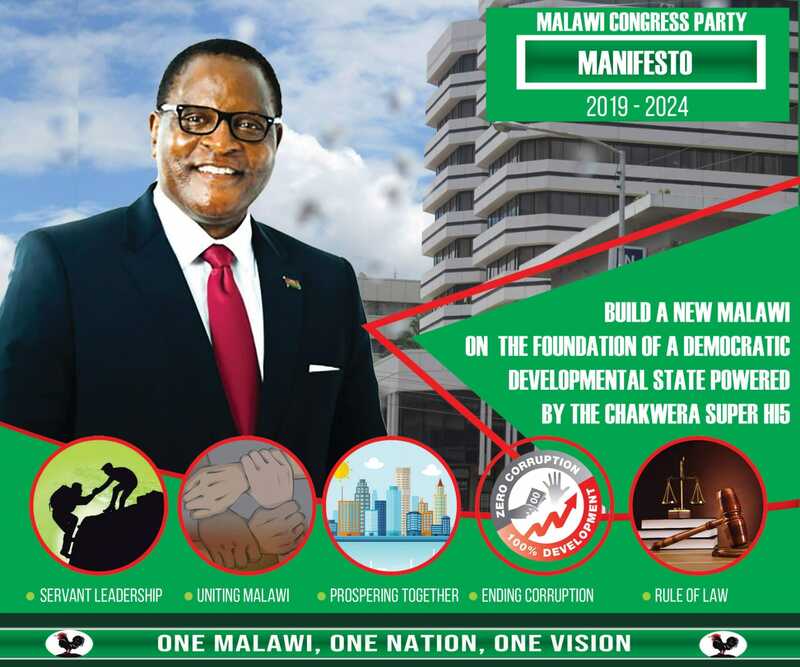 Is Reverend Chimwemwe Mhango’s desire to transform Malawi music industry a mission impossible? Many pundits think the veteran man of God who holds a bachelor’s degree in music technology and performance from University of Kwa Zulu Natal has all it takes to turn tables around because of his integrity, experience and professionalism. Mhango started playing music at a very tender age and was part of the crew that sang the famous song Atimwe before proceeding to to form Mhango Salvation Singers with his siblings. He outlines that he would like to draw into action and work with all veteran reputable musicians and other stakeholders in the likes of Wambali Mkandawire, ‘Sir’ Paul and Lucius Banda, Joseph Tembo, Charles Waliko Makhala, Maria Chalamanda, Costen Mapemba and a crop of new talent of musicians to rebuild the industry. Malawi’s award winning musician, Lucius Banda popularly known as Soldier agrees in an interview that the music industry is in shambles and dire straits needing a quick fix. “I’ve always worked towards bulding a vibrant music industry, but I have had my reservations working in the association because at a certain point way back the association used to operate like a political grouping. But with the coming in of a professional musician of high repute like Reverend Chimwemwe Mhango I hope that things would turn out best,” says Lucius Banda who has a staggering 16 albums under his belt adding that Costen Mapemba also did a good job during his tenure of office. Mapemba in another interview explains that he has no regrets saying he did his best part to help build the music industry adding that he would continue to offer his support to his successor, reverend Mhango whenever it is needed. But the tough plain-talking Limbani Banda who styles himself as Tosh palpably attacks the country’s music industry as being overcrowded with masquerades and ‘talent-less ‘people with no music finesse. “Malawi music industry is crammed with fortune-seekers and not artists. Very few are true musicians most are ‘masquerades’ who wants to make ends meet,” he informs. The plain-speaking dreadlocked Banda of the Chisoni mkumatenda fame says Malawi music is of below standards to this day because most of its ‘claimant’ musicians are not creative. “If Reverend Mhango wants things to work then only professional musicians must be allowed to operate in the country. Music is the only trade in Malawi which does not regulate its players. Most of Malawi music is trash and yet we expect people to buy such garbage?” bluntly asks the Zomba based dreadlocked reggae star. According to him the Malawi music industry is full of charlatans who after failing to get a job they try to earn a living by defrauding music pundits’ lovers. Dancehall queen husky-voiced Wendy Harawa says agrees with Limbani and says it leaves a lot to be desired. “I don’t know whether it’s a leadership issue or is it about the musicians themselves. Maybe apart from the association we also need musicians’ union so we regulate ourselves,” says Harawa who also had at one time plied her music escapades in the neighbouring Zambia. Fading Ragga star Chiyanjano Muhaziwa popularly known as Annie Matumbi in the music circles once sang that the Malawi music industry is infested with ‘vegetable sellers’. Gospel kingpin Wycliffe Chimwendoh says MAM must have quality leaders with skill, enthusiasm and passion for music but overall must also have the welfare of the musicians at heart saying Malawi music is failing to grow because it lacks skilled people to steer the industry forward. “We are looking for administrators and skilled people that can turn around things and make our lives better. Such people can be either musicians or not so long as they have a passion for music and be able to address the problems that the industry faces,” says Chimwendoh. Ethno-musicologist and cultural scientist Waliko Makhala says in another interview that there is need for the country to build more professional music schools so that many people can learn the trade. “Music is a culture and a way of life, therefore it is imperative for our country to invest hugely in cultural education so we can portray our image better to the international spheres.” says Makhala. The question therefore is with new kids on the block such as Tay Grin, Maskal, Black Missionaries, Lulu, Fikisa, Skeffa Chimoto is Malawian music going anywhere? If it is, where? And for how long will it take us to get to the Promised Land where Malawi music will be busting international charts like did Kalimba and Dr. Daniel Kachamba?